Home / Breitling / Breitling VS Omega : Which is Better? 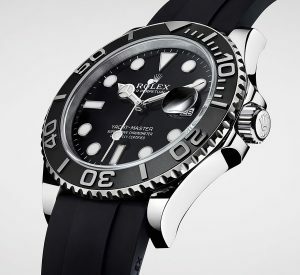 Now, the thing with comparisons is that they’ll always spark controversy as different people have different options and experiences, so in this article we won’t share a definite answer to which is better when you compare Omega VS Breitling, but instead, we’ll bring up and look closer at some of the (maybe) important things to look at when buying a new watch, and then let you decide which is the best option for you. Because what someone may find ”the best”, may not be considered the best by someone else. In other words, there’s no right or wrong. And it also depends on which factors and points you look at when comparing them. Of course, both Breitling and Omega are two watch brands which have a long and rich history. Omega was founded in 1848 and Breitling was founded in 1884. Both brands are well-known for making high-quality timepieces, but they’re also known for different things. Breitling has a long history with flying, in particular for making high-quality and reliable chronographs that are now loved by watch-connoisseurs. Omega is known for a lot of things, among those the most notable is perhaps the moon watch, which was worn on the moon. Let’s begin by comparing the two companies’ sizes because this gives an indication of which is most popular and which the people prefer more. While this doesn’t necessarily tell us which is the best of Omega and Breitling, but it is still an interesting point to look at. Breitling has an estimated revenue of $422.7M, on the contrary, Omega has an operating revenue of $908.4 million. As you can see, Omega’s revenue is significantly larger than the revenue of Breitling, which may not come as surprising considering the fact that Omega is more well-known than Breitling. In particular by people who are not really into watches and don’t know anything about them. Which is the highest quality watch – Omega or Breitling? Which is the most price-worthy watch – Omega or Breitling? Which is the most popular? – Omega or Breitling? 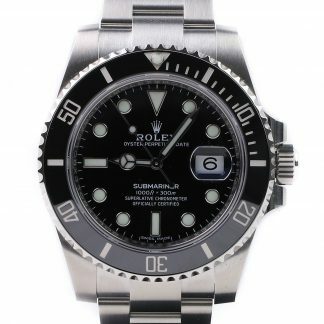 Which brand makes the best watches? 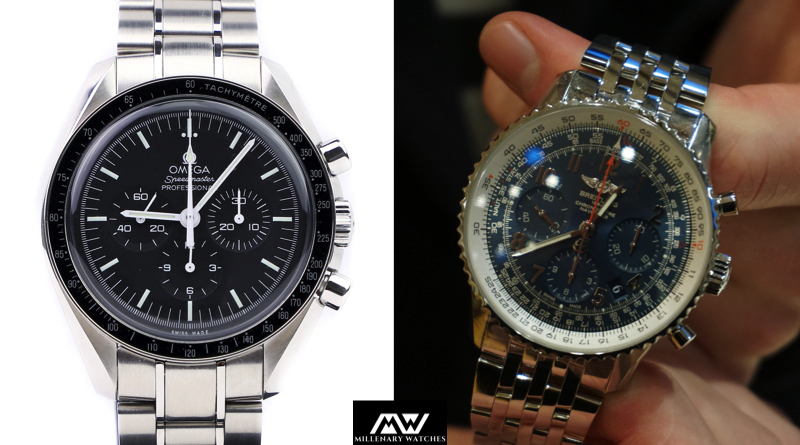 – Omega or Breitling? Some questions are easier to answer than others, but we’ll do our best to cover and compare the two. 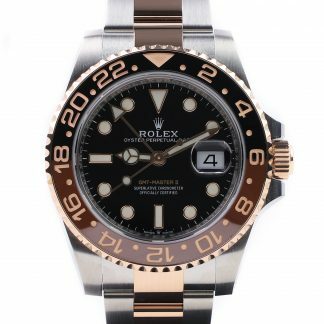 Now, without further ado, let’s look at some of the most interesting and important points that are worth looking at when comparing watch brands, and have in mind that there is no real right or wrong – and which you should choose is completely up to you and your personal preference. The movements are unarguably the most important part of a watch. They’re the beating heart, and they are what fascinates and impresses watch-connoisseurs. Having in-house movements is considered very important in the watch industry. In particular by customers. Both Omega and Breitling develop and produce in-house movements, but at the same time, both also use externally sourced movements for some of their models. Also, Omega (generally speaking) produces watches with far more complicated movements and makes their own in-house movements at a much greater extent than Breitling does. In that sense, Omega is considered to be a watch brand that makes superior watches than Breitling – and whether or not this is the case can, of course, be debated. 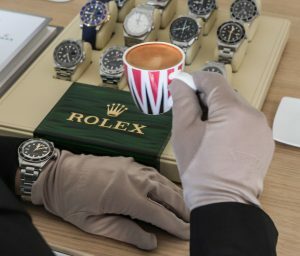 Omega has worked hard to prove that they’re a watch manufacturer that can produce extremely complicated and unique movements, and Breitling has not focused on this to the same extent. 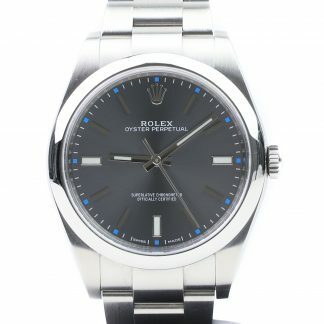 Instead, they have mainly focused on making watches in large productions rather than also, on the side of the large production watches also making unique and innovative watches. In terms of innovation, Omega is probably the winner of the two brands. Omega has come up with lots of interesting innovations such as their now infamous co-Axial movement, the Master Co-axial anti-magnetic, and they also experiment with lots of unique and new materials such as. As for the latter, Breitling has also done some experimenting with new materials, such as carbon fiber. In other words, some people mean that the Breitling watches that don’t use in-house movements don’t give you enough bang for the buck, but again, this can be debated. In terms of style and design, you may say that Omega and Breitling are quite different from each other. Omega’s most iconic and famous model is the Speedmaster, and the most iconic Breitling watch is probably the Navitimer. Both of these watches are both well-respected and instantly recognized by people who know watches thanks to their distinct design, and they’re also both chronographs. Generally speaking, Breitling makes more ”daring” and ”out there” watches than Omega does, and this is a reason why some Breitling models may appeal to different people than Omega. Generally speaking, Breitling watches tend to have quite busy dials, which appeals to some but not all. For example, both the Speedmaster and the Navitimer are chronograph watches, but upon comparing them, you’ll find that the dial of the Navitimer is much busier than the Speedmaster – which of course appeals to some people, but many people find them too busy. Something that is especially interesting when comparing Omega vs Breitling is their sizes. 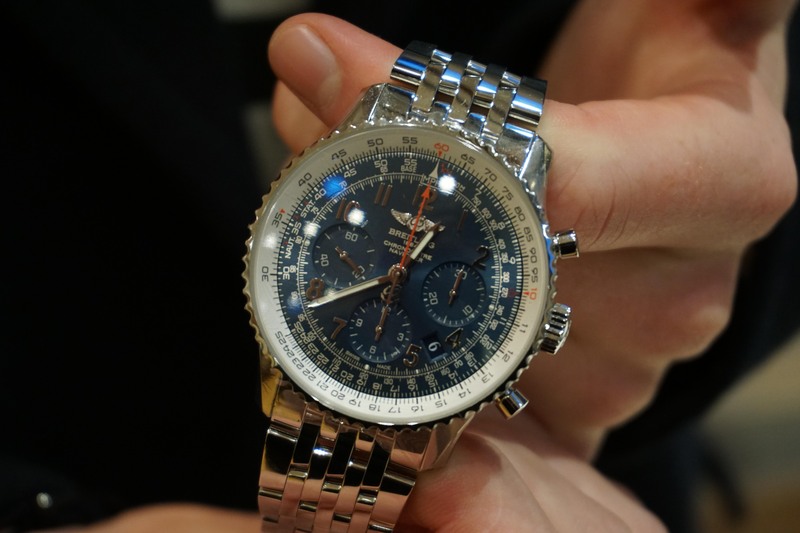 Breitling is notoriously known for making large watches, and while both manufacturers make smaller watches, thanks to the overall large sizes on most watches from Breitling, these watches tend to appeal a different audience of people who like and can pull of watches that are on the larger side. Both Omega and Breitling have a large number of models and variants to choose from, and something that they both have in common is that they continue to build on already existing models. 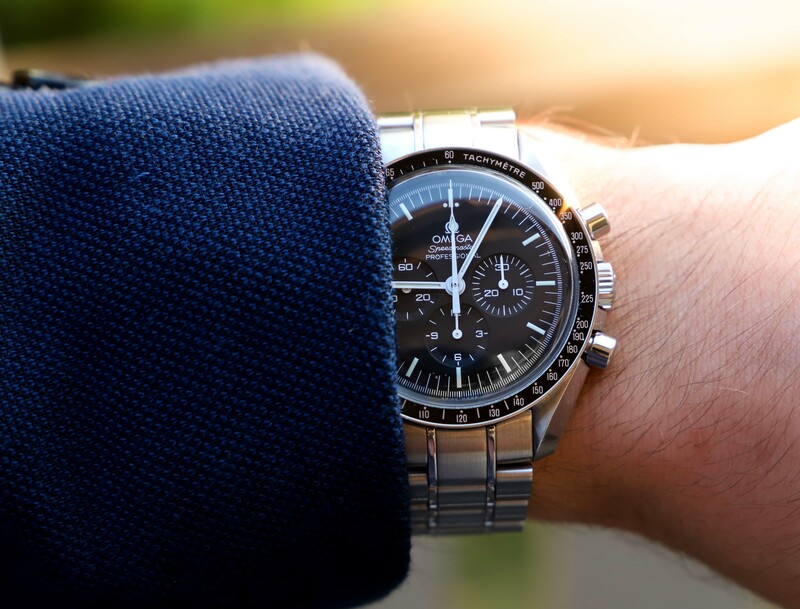 For example, Omega’s most popular model is, as mentioned, the Speedmaster, and Omega has made many variants of this model – just like Breitling has made many variants of their Navitimer model. Both Omega and Breitling develop digital watches that are meant to help the wearer in different ways. Breitling, which has a long pilot history naturally develops watches that are meant to help pilots in one way or another, but the most famous innovative Breitling watch that truly helps the wearer is probably the Breitling emergency watch, which can be considered quite revolutionary. 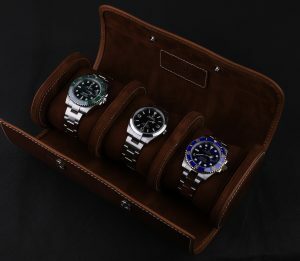 These watches are often known as ”professional” watches. 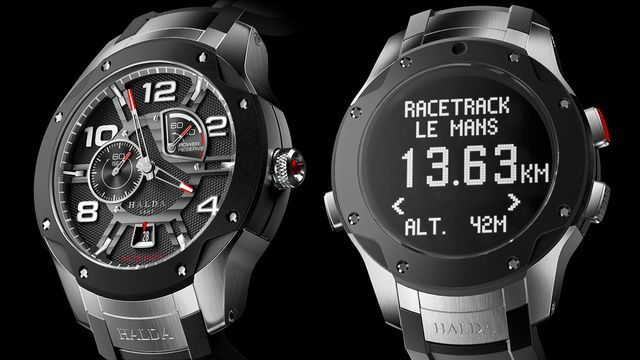 In that sense, both of the brands try to push the limits and innovate new technology and make new watches that are not only beautiful and tell the time, but also do something more. Therefore, in this category, there’s no real winner. 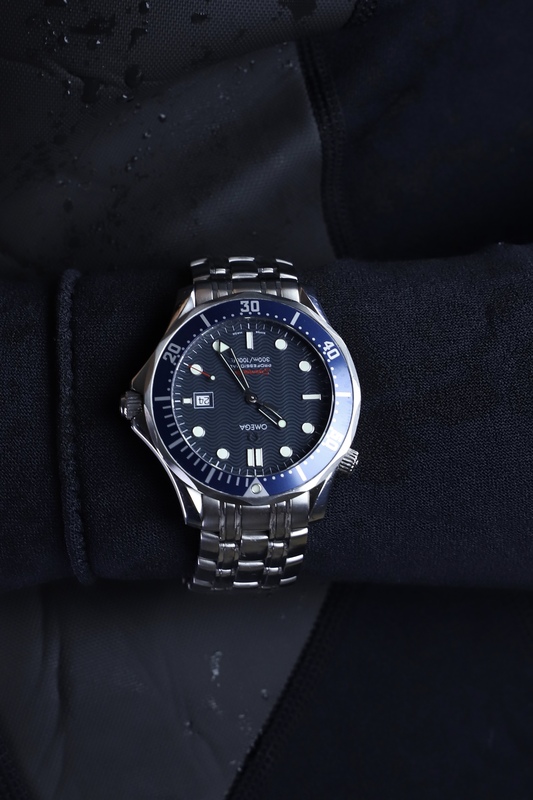 One professional watch that Omega makes is the Seamaster PloProf 1200m which offers 1,200 meters of water resistance. 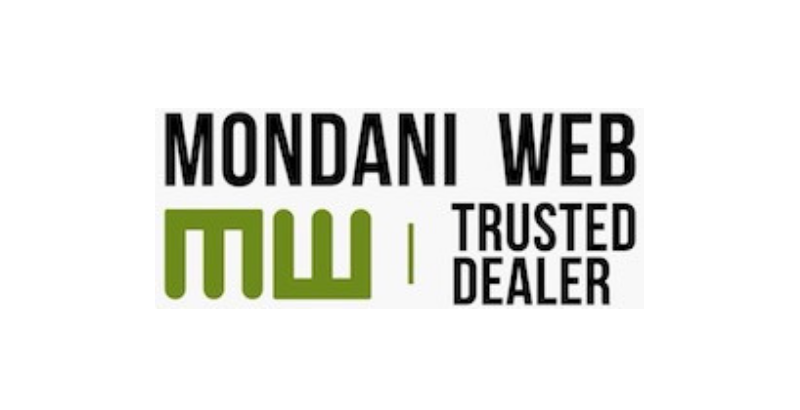 Warranty is an interesting way of comparing watch brands because the warranty can be viewed as how ”proudly” the brands stand behind their products, in other words, at least in theory, give a slight indication of which watch brand has the highest quality. 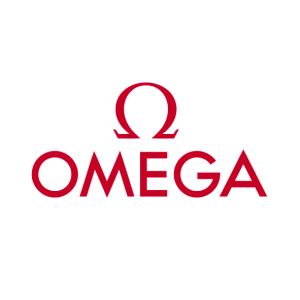 From July 1st, 2018, all Omega watches come with an international warranty of five years. This is an extension from three years and was a huge step for Omega when introduced. On the contrary, all Breitling watches are covered by a two-year international warranty or a five-year international warranty for watches equipped with a mechanical manufacture movement. In other words, Breitling only gives a five year warranty for their in-house movement-powered watches, and since Omega mainly uses in-house movements, this is no issue for them, but since far from all Breitling watches use in-house movements, one could see this as Breitling watches, in theory, are lower quality than Omega since Breitling only offers five year warranty for their in-house movements. Omega was able to extend their warranty from three to five years thanks to improving their components and thus making more durable and higher-quality movements. 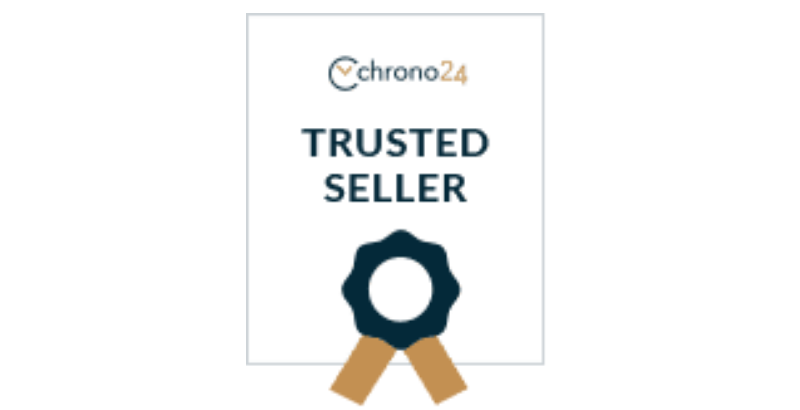 Now, there’s no doubt that whether you buy an Omega or a Breitling, you get a top-quality Swiss watch that has gone through rigorous tests. 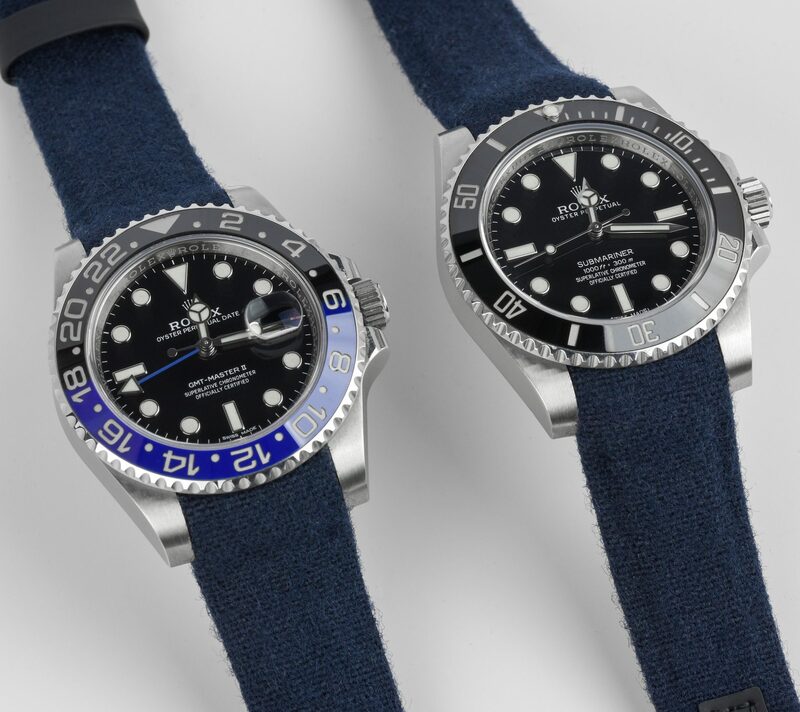 Both brands make great timepieces, and both offer their own unique innovations and strengths. 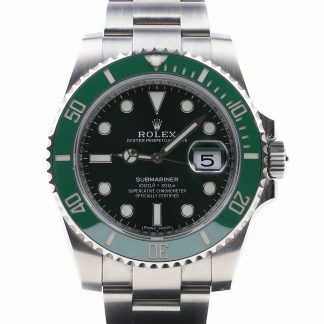 Pricing is highly relevant when comparing watches, and it’s important to have pricing in mind because otherwise, you risk comparing pears to apples. Luckily, Omega and Breitling watches are relatively similarly priced, and this is probably also the reason why a lot of people tend to want to compare the two brands. You can buy an entry-level Omega watch for more or less the same price as an entry-level Breitling. 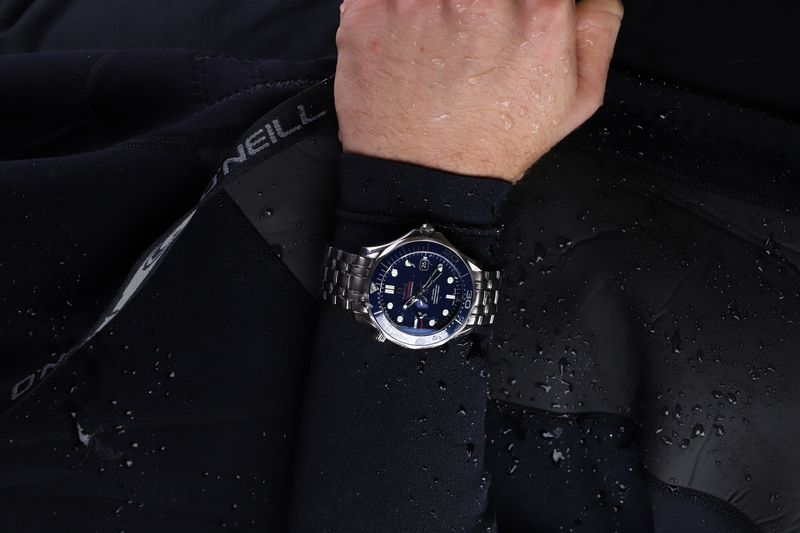 Two popular entry-level watches that are often compared are Breitling’s Superocean model and Omega’s Seamaster model. People who are looking for a chronograph watch rather than a diver’s watch may compare Omega’s Speedmaster with Breitling’s Navitimer. As for the Superocean and the Seamaster, the price is between €4000 and €5000. 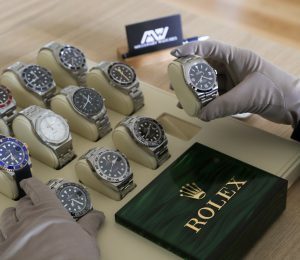 Popularity is rather subjective, but as brought up earlier, revenue can be a helpful indicator, and clearly, Omega sells a lot more watches than Breitling does. 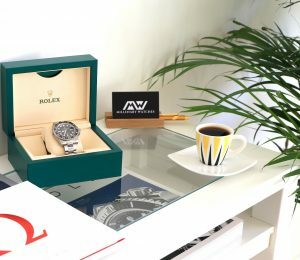 Both of the brands are considered to be among the top 50 Swiss watch brands, and they both play an important and large role in the Swiss watch industry. While both are ranked in the top 50, Omega ranks higher than Breitling. Omega is also more recognized by people than Breitling is. 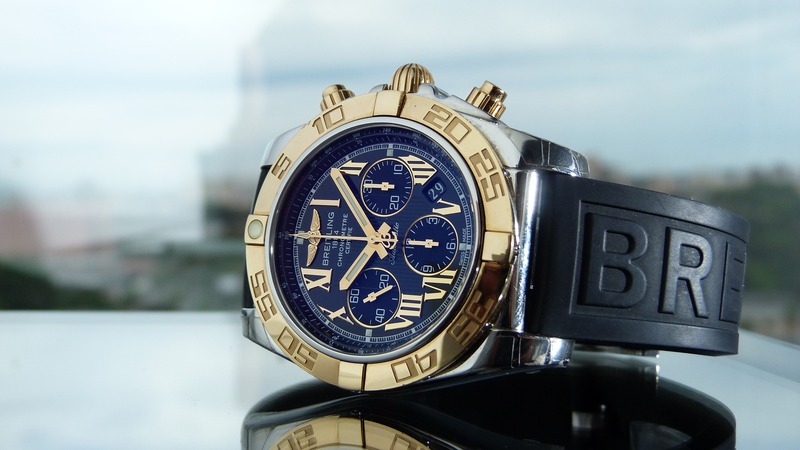 This may or may not be important for you, but people will much more often say ”Nice Omega”, than they’ll say ”Nice Breitling” – simply because more people know Omega than Breitling even though they are both two major players in the Swiss watch industry. Omega has got more recognition in recent times thanks to James Bond and other well-known individuals such as George Clooney. Breitling, of course also have their ambassadors, but is there something more iconic and special than having James Bond himself carry a particular branded watch (and the same brand) for countless consecutive decades. 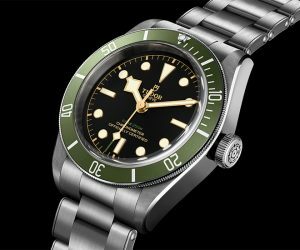 When comparing watch brands with each-other, it’s often difficult to crown a clear-cut winner, because again, it depends on what you are comparing, but it also comes down to preference. 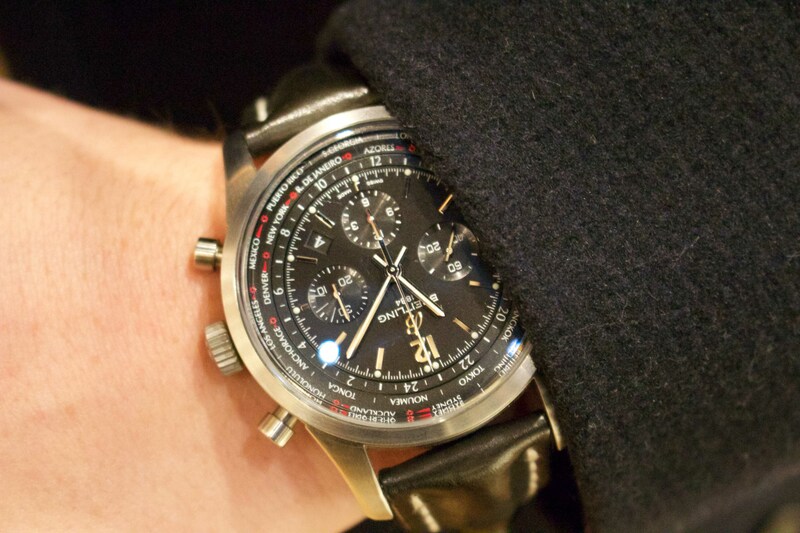 Some people are naturally drawn to larger, and often more unique and sporty watches, and if that is the case, they’ll naturally be more drawn towards Breitling. And the same goes for Omega. 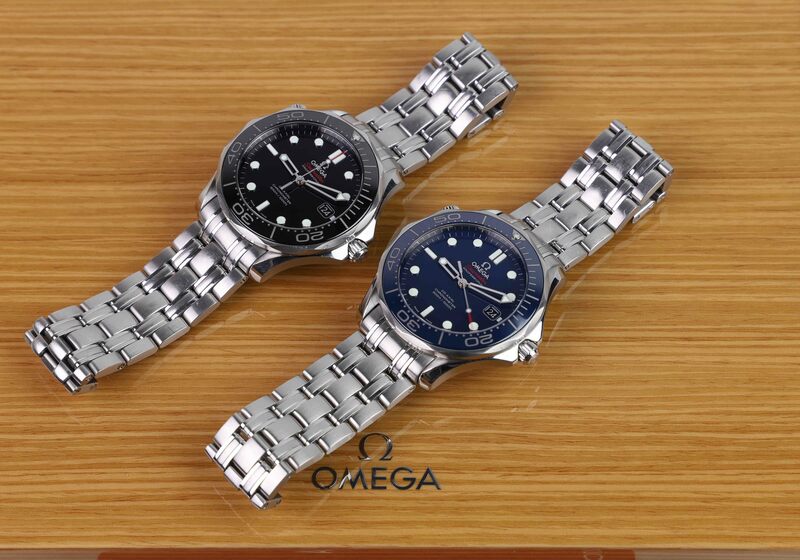 If you find the history of Omega more appealing, and you think it is very important for that the watch brand you wear goes full-heartedly into making and innovating reliable and high.-quality movements, you may be more drawn towards Omega. Again, note that this is meant to be an objective comparison between the two brands. We advise you to follow your heart and taste and research watches from both Omega and Breitling if those are the two brands that speak most to you and then narrow down your options down to just one or two from each brand. Which of Omega and Breitling do you like the most? In your opinion, which is the winner of Omega VS Breitling? Either way, if you’re looking for a specific Breitling or Omega timepiece, we can help you find it through our source a watch service! 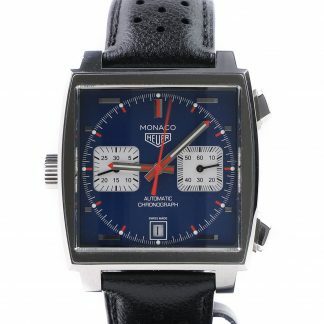 And don’t forget to explore all our watches for sale.